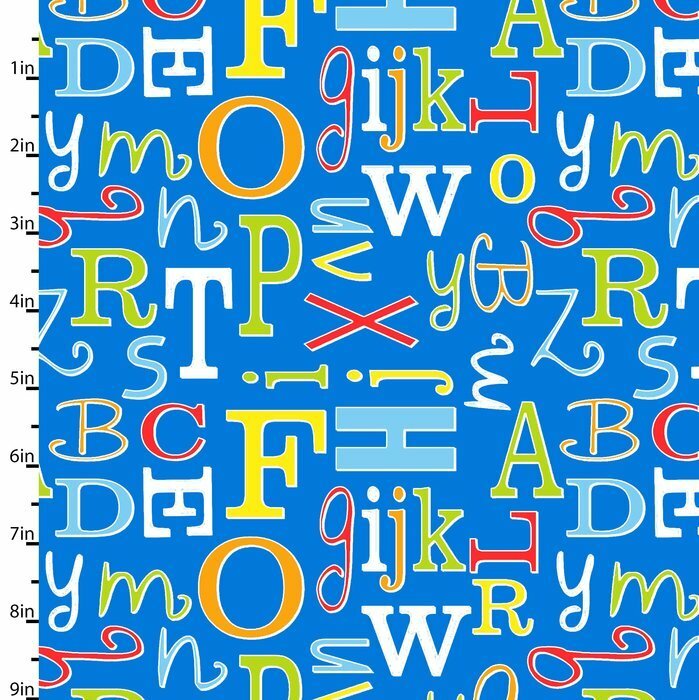 Tossed letters in primary colors on blue background. Designed by Diane Eichler for Studio E. 43/44" wide. 100% cotton.